If all you can think is “spaghetti” when considering meatballs for dinner then it’s time to shake up your meatball game. 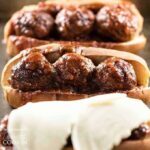 These slow cooker BBQ meatball subs cook low and slow all day in a quick and simple homemade BBQ sauce. When it’s time for dinner just pile the savory meatballs onto toasted rolls and top with cheese and serve. So, forget the spaghetti and make these slow cooker BBQ meatball subs instead – it’s a slow cooker meal the whole family will love! RELATED: If you love using your slow cooker and are always looking for new recipes, be sure to give our crockpot macaroni and cheese a try! Dinner ruts are the worst. Getting stuck in a never-ending merry-go-round of tacos, baked chicken, pizza, spaghetti and meatballs and casseroles for weeks on end can only lead to feeling bored in the kitchen. Boring for the cook and boring for everyone gathering around the table, but I get it. Ease and convenience often take precedence over the need to feel creative. Having your shopping list and dinner prep steps on autopilot isn’t always a bad thing, but sometimes it’s good to switch things up a bit especially if the new thing is simple, delicious, and bound to get everyone excited about pulling up a chair for dinner. 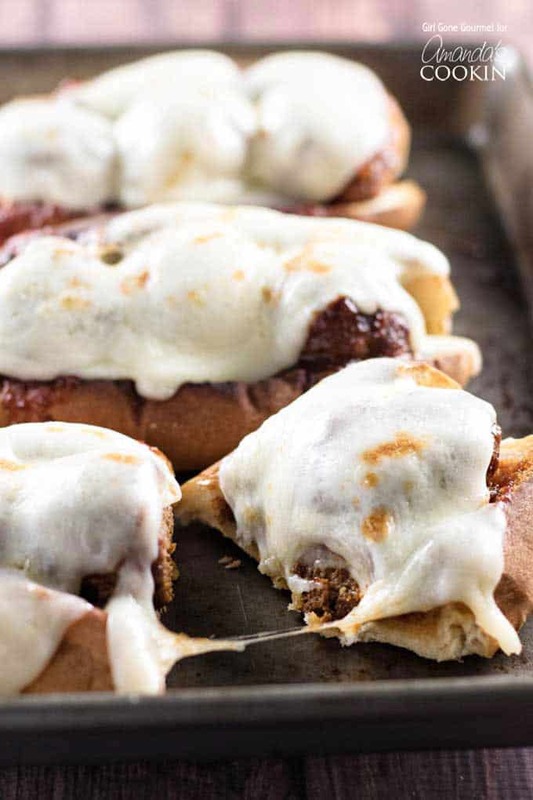 Hello, slow cooker BBQ meatball subs. If you like you can make the meatballs ahead of time and freeze or refrigerate them. If it will be more than two days before you toss them in the slow cooker, freeze them. You can toss them right into the crockpot frozen or you can thaw them in the refrigerator overnight. Spend 10 minutes making the meatballs and super simple BBQ sauce in the morning and arrive home that night to a house filled with the savory scent of slow-cooked meatballs just begging to be piled into soft toasted rolls. Go one step further with some melted provolone cheese and suddenly your standard meatball night is looking (and tasting!) all shiny and new again. Can you hear the cheering yet? 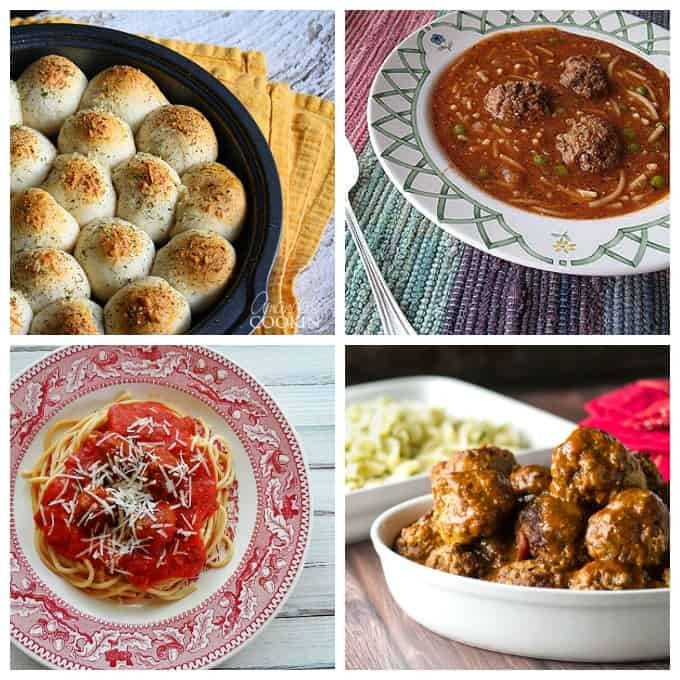 Using refrigerator biscuits, meatballs and some cheese you can make these super delicious meatball stuffed biscuits that work as an appetizer or a grab and go dinner. Here’s a hearty meal that’s perfect for fall. My meatball soup is full of flavor and easy to make. If you love a classic supper of spaghetti and meatballs this one is for you! 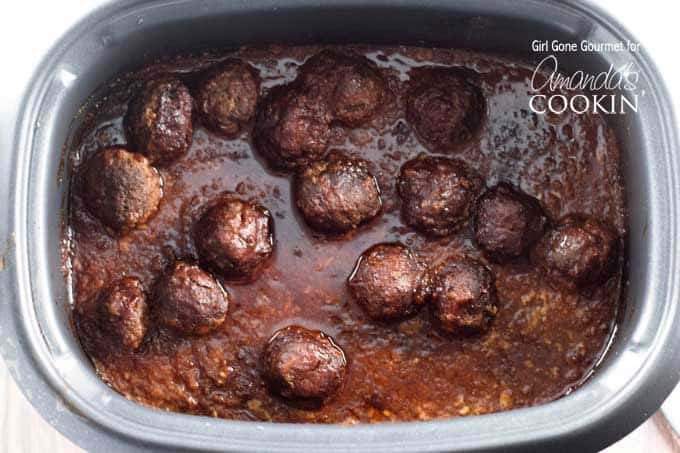 April over at Girl Gone Gourmet has a wonderful looking dish called Braised Meatballs with Buttered Noodles that you may want to try as well. 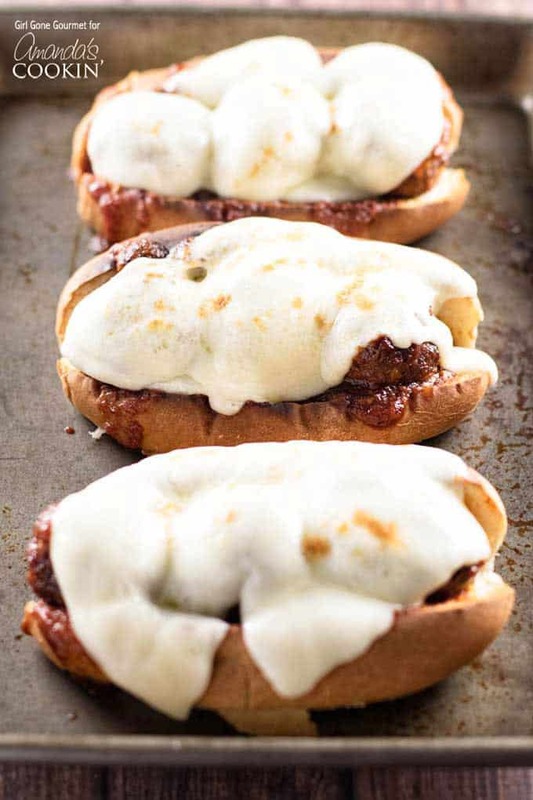 Easy slow cooker BBQ meatball subs are a great way to switch up the dinner routine. The meatballs cook low and slow in a simple homemade BBQ sauce so when it's time for dinner just toast some rolls and top with some melty cheese. Psst! Want to make it even easier? Just substitute your favorite jarred BBQ sauce for the homemade recipe listed below. Mix the breadcrumbs and spices together in a large bowl. Add the parsley, egg, and olive oil and mix until well combined. Add the ground beef and, using your hands, mix until combined. To make the BBQ sauce combine all of the sauce ingredients together in the slow cooker. Scoop a couple generous tablespoons of the ground beef mixture to form each meatball, you should have approximately 16 meatballs when done. Place the meatballs in a single layer in the sauce. Spoon the sauce over the meatballs to coat. Cook on low for eight hours. To make the sandwiches: turn the oven to broil. Split the buns and place them on a baking sheet. Toast the buns under the broiler for a few minutes until golden brown. Place the meatballs in each roll. Top with slices of provolone cheese and place under the broiler just until the cheese is melted and bubbly.